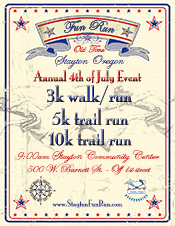 Since 1983 Stayton has been celebrating fitness and this family tradition on the 4th of July. Both the runs and walk of this annual event will take place on asphalt and cross-country surfaces. 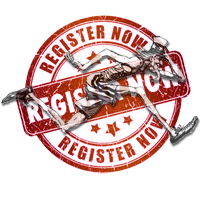 The miles are marked and the courses are excellent for the competitive runner, fun runner and walker. 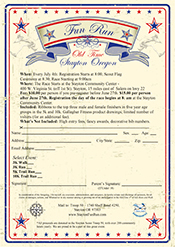 The Runs and Walk is being held in conjunction with Stayton’s 4th of July festival. The festival features such activities as the Kid’s and Grand Parade, a community dinner, band concerts, variety show, kid’s games, food booths and a fantastic fireworks display. So, there is much to do after the race is over. WHEN: Every JULY 4th. 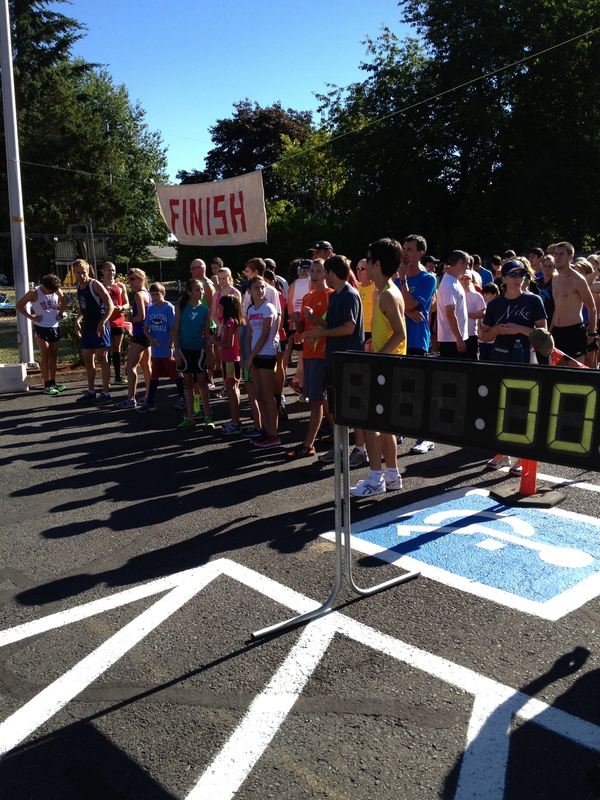 Registration starts at 7:30 (DAY OF REGISTRATION FOR TIMED RESULTS WILL END @ 8:30 AM), Race Start at 9:00 a.m.
WHERE: Starts at the Stayton Community Center – 500 W Burnett St. (Off 1st St.). Stayton is 15 miles east of Salem on Highway 22. 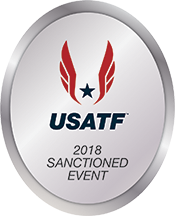 FEE: $10.00 per person if you pre-register; Click Here to register online; Or Click Here to down Load a paper registration form. 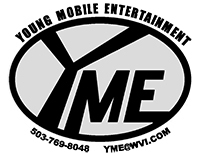 Submit your registration before June 26th ~ The Race fee is $15.00 per person after June 26th. 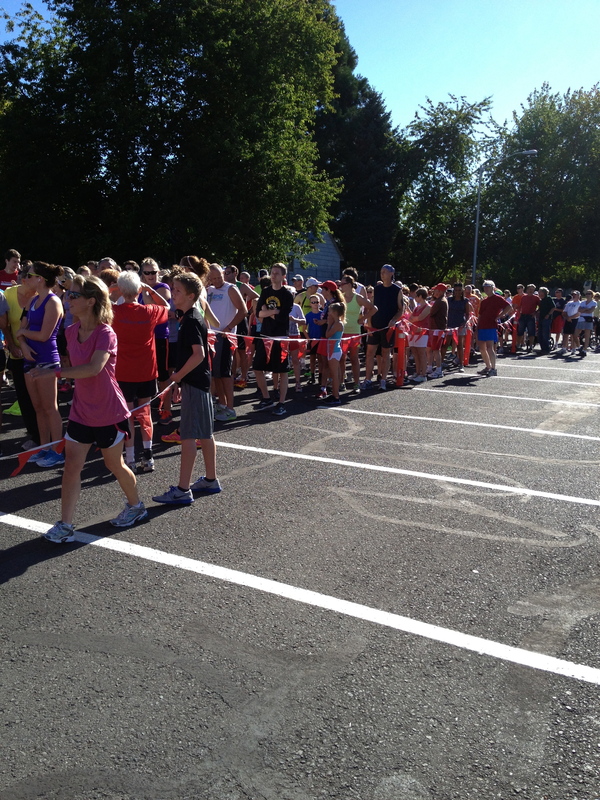 Race Day Registration begins at 7:30 a.m. at the Stayton Community Center. DAY OF REGISTRATION FOR TIMED RESULTS WILL END @ 8:30 AM. INCLUDED: Ribbons to the top male and female finishers; Gallagher Fitness Resources drawings. WHAT’S NOT INCLUDED: High entry fees, fancy awards. *3rd ANNUAL STAYTON EAGLES PANCAKE BREAKFAST – all proceed will go to the Graduating Class of 2020 for their awesome senior event. Support the 2020 Graduating Class and join us from 8:am to 11am for a delicious Pancake Breakfast! 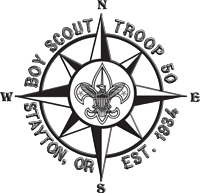 *All proceeds are donated to the Stayton Scout Troop 50 ~ with over 250 community service hours logged yearly. The Troop is very proud to be a part of this Stayton 4th of July tradition. << Or Download A Paper Registration Form Here.